We at Boulder Cove want to make your stay at our cottage retreat as pleasurable as possible. We hope to cater to as many needs as our visitors demand so we will be listening to your comments and expanding our property features as the years go by. We have compiled a set of activities using our own vacationing experiences and hope they help make your stay enjoyable and relaxing. Ocean swimming off the dock. Walking and hiking trails along the shore and in the woods. Fishing rods for lake and ocean fishing. Board games for those rainy days and relaxing nights on the deck. Satellite TV to keep you updated on world events or to play great music with while relaxing in the extra large bath tub. BBQ on the deck to cook the days catch on or some of that great local seafood. Campfires at night at your very own camp fire pit. Each cottage features one and we can even get you the fire wood. Scavenger Hunts for the kids! Pick up a list of items at the office, return with your answers and get a prize. Lobster boils! Depending on availability Boulder Cove can "hook you up" with the best lobster money can buy. Canoing on the bay. 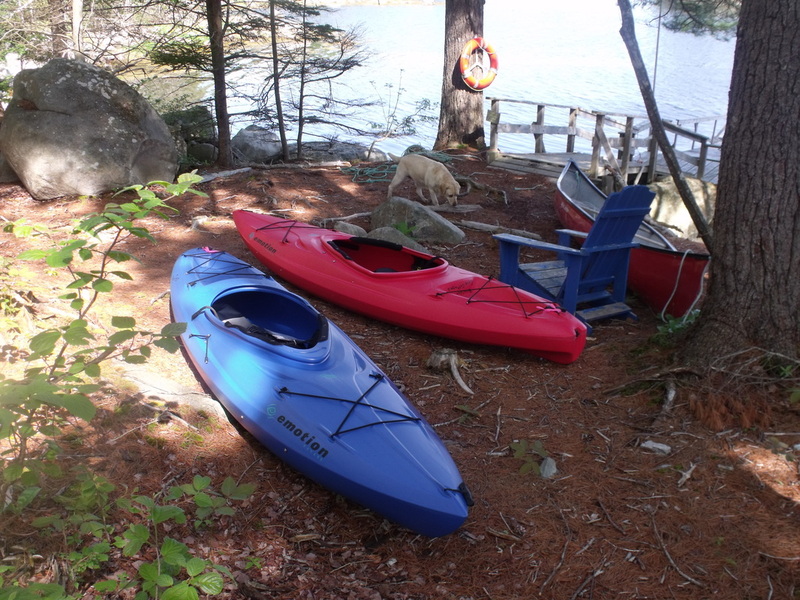 All guests of Boulder Cove have complete access to our canoe, kayaks and row boat. A row boat. Life jackets are provided for all water activities. Bird watching. Boulder Cove is a paradise for bird watchers, photographers, artists and those who just appreciate the great outdoors. Guests have access to their own pair of binoculars for their stay, to watch all the activity up the harbour. Internet access in all the cottages. Hammock sleeping or reading.Boulder Cove has several hammocks hung around the property so you can enjoy the view, read a book or breathe the cooling ocean air on a hot summer day. Kayaks down at the dock...and our canoe. All free for guests to use and life jackets are provided. Soaking up in the bath tub is the best way to relax from a long day of vacationing.